• Hello and welcome to your Saturday edition of The Purge. We’re kicking things off this week with Calvin Harris’s new single ‘Feels’, which dropped at both digital providers and Australian media yesterday. The track, lifted from his upcoming album ‘Funk Wav Bounces Vol.1’, features superstars Pharrell Williams, Katy Perry and Big Sean on guest vocal duties. • We’ve also got a new Macklemore single to call our own, though conspicuously absent on this occasion is his regular collaborator Ryan Lewis. He is, however, teaming up with Skylar Grey for his latest solo output; the latest to be plucked from a forthcoming LP. It’s his first solo long player in 12 years and is currently slated for release later this year. • George Ezra has also made his return to the music world late this week. ‘Doesn’t Matter Now’ premiered on BBC1 as Annie Mac’s ‘Hottest Record In The World’ yesterday morning Australian time (watch the video HERE). Presumably, an album to follow up 2014’s ‘Wanted On Voyage’, will land later this year. • Moby & The Void Pacific Choir have released a brand new album. It’s called ‘More Fast Songs About The Apocalypse’. And it’s free. Yes, you read that right… free. Now, yes, you CAN download it free, but Moby is encouraging those who do so to make a donation to a charity of their choice. More details – and the link to download – HERE. • He’s been quite busy on social media over the last few months, but a little quiet on the new music front. 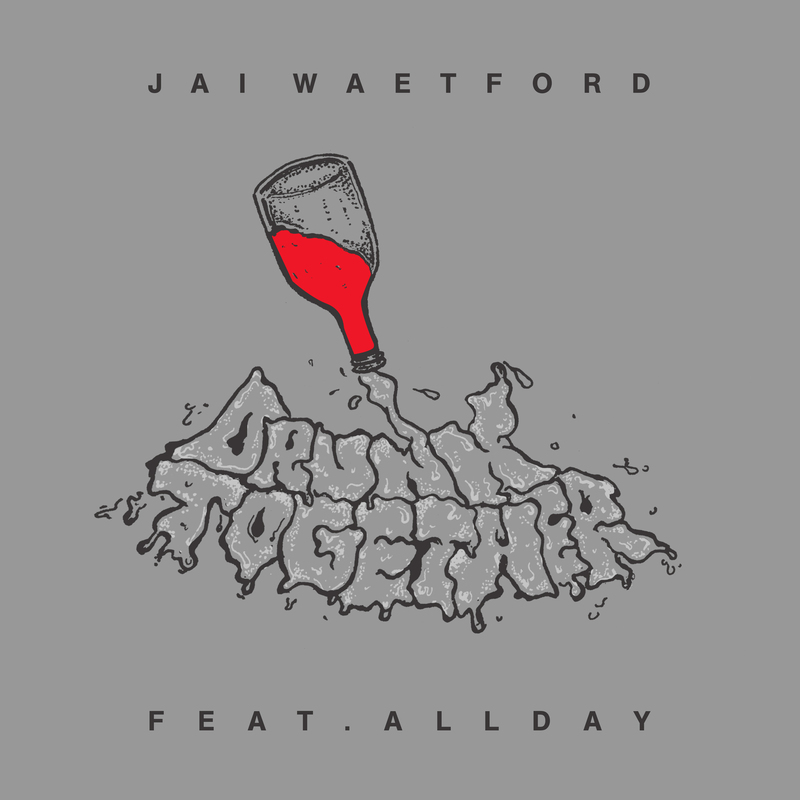 But all that’s changed now for Jai Waetford, with the release of his latest single ‘Drunk Together’. For it, he’s teamed up with Aussie rap sensation Allday. “This has been a big year finding my sound and working with a whole bunch of people,” Jai reveals. 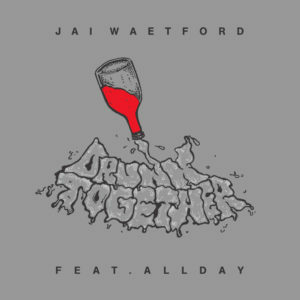 “I couldn’t be more proud or excited to have ‘Drunk Together’ be the first listen of what’s to come.” Jai plays a trio of headline shows across the East Coast from early next month; at Sydney’s Oxford Art Factory on July 08, Melbourne’s Evelyn Hotel on July 09 and Brisbane’s Old Museum on July 16. • Hot on the heels of his smash hit ‘You Don’t Know Me’ (with Raye), Jax Jones has returned. And this time, he’s got some superstar pop support. Former Disney starlet Demi Lovato bobs up on his new single ‘Instruction’, which dropped at digital retailers and media yesterday. “We knew we needed someone with a certain level of swag and confidence to pull off a song like this so we sent it to Demi Lovato to see if she was interested,” Jax explains. “I thought it was long shot but she loved the record and delivered us all the right feels in the vocal.” His local label etc etc tells us that we should expect an announcement on Australian tour dates soon (around the same time he’s here for the Spilt Milk Festival in Canberra). 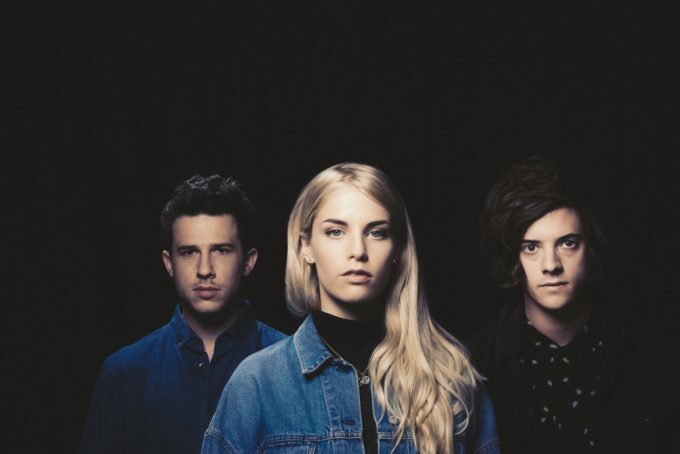 • London Grammar are doing something very, very right, selling out two shows at the Sydney Opera House as part of their recently announced Australian tour. Demand for tickets to see them is still strong, however, so they’ve added another Sydney date – at the Enmore Theatre on Thursday September 21. Their Melbourne, Brisbane and Perth shows are also selling fast. • Aussie musicians Kevin Mitchell, Wes Carr, Jack Jones, Paul Gray, Ciaran Gribbin and band will pay tribute to The Beatles, playing the band’s biggest hits from their first five albums. Songs like ‘I Saw Her Standing There’, ‘Ticket To Ride’, ‘A Hard Days Night’ and ‘Love Me Do’ are all part of the setlist for the five shows; September 09 and 10 at the Sydney Opera House, September 13 at QPAC in Brisbane, September 16 at the Adelaide Entertainment Centre and September 22 at Hamer Hall in Melbourne. Tickets are on sale from June 26. • Symphony Orchestras in Sydney and Melbourne will tackle some of the biggest dance music anthems in history in a new concert experience called ‘Orchestrated’. Ministry Of Sound is promising “25 years of dance classics as you’ve never heard them before”; the orchestras playing songs from Massive Attack, Bag Raiders, Shapeshifters and many more. Tickets for the August 11 Melbourne gig at Hamer Hall and the August 18 gig at the State Theatre in Sydney are on sale from 10am on Friday June 23. (Frontier Members get pre-sale access from 2pm this Wednesday). • Luis Fonsi, Daddy Yankee and Justin Bieber continue to rule the roost on the UK singles chart this week with their global smash ‘Despacito’. Not only that, but Ariana Grande holds on to the No.2 position with her Manchester anthem ‘One Last Time’. But French Montana and Swae Lee are on the up (No.5 to No.3) with their track ‘Unforgettable’, while the new David Guetta/Justin Bieber collaboration ‘2U’ enters the countdown at a respectable No.5. With the music video now doing the rounds, the latest Little Mix single, ‘Power’, bullets from No.35 to No.13. • No.1 on the UK albums chart this week is all about London Grammar and their latest long player ‘Truth Is A Beautiful Thing’. They did enough to knock perennial favourite Ed Sheeran from his perch, though he only falls to No.2, with Glen Campbell’s ‘Adios’ (new at No.3), Rag ‘N’ Bone Man’s ‘Human’ (No.4) and Lindsey Buckingham and Christine McVie’s self-titled set (premiere at No.5) making up the rest of the top five. The new Katy Perry album ‘Witness’ premieres at No.6 (her lowest UK chart since her 2008 debut ‘One Of The Boys’), while Chuck Berry’s ‘Chuck’ twists its way into the UK top ten with a No.9 debut. 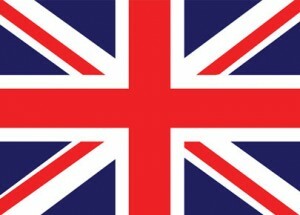 • Hoping for a little bit of change to the top of the Billboard Hot 100 singles chart in the US this week? Maybe next week. The top three on the US chart remains steady for a third successive week, with Luis Fonsi, Daddy Yankee and Justin Bieber glued in pole position. Ed Sheeran’s ‘Shape Of You’ gains a little (No.5 to No.4), swapping places with Kendrick Lamar’s ‘Humble’. Shawn Mendes enters the top 20 with his single ‘There’s Nothing Holdin’ Me Back’ (No.22 to No.18) and it’s ‘Now Or Never’ for Halsey, who’s on her way towards the top 20, up five to No.21. • Speaking of Halsey, hello No.1 album in the US this week. Yes, ‘hopeless fountain kingdom’ premieres in the No.1 position on the Billboard 200 album chart, knocking Bryson Tiller off his perch after just one week. Bryson’s gone from the top ten altogether; ‘True To Self’ losing 12 places and finishing up in its second week at No.13. The ‘EPIC AF (Yellow/Pink)’ compilation bullets from No.11 to No.3, to settle just behind Kendrick Lamar, while Luke Combs premieres at No.5 with his new album ‘This One’s For You’. All Time Low score the only other top ten debut for the week… ‘Last Young Renegade’ is into the countdown at a respectable No.9. • Now that your whistle is whet (well, chart-wise that is…), we’d best let you know that we’ll be back tonight at 6pm on the East Coast with our weekly wrap of the charts here at home. It’s called ARIA Chart Watch, don’t you know! It’s back at six tonight. Catch you then!